Neurological examination: The standard neurological examination is done, with cranial nerve examination including funduscopy. Standard laboratory tests: No abnormal values are expected. 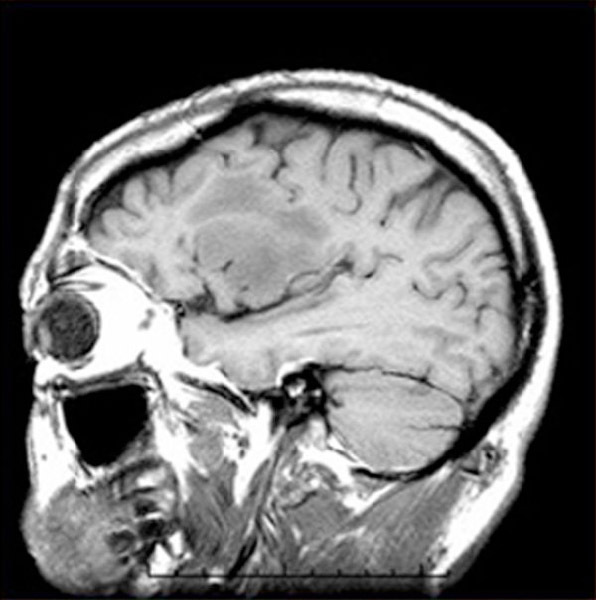 Iso- to hypodense: On CT scan, LGGs may be hypodense or isodense to normal brain, reflecting their low cellularity. 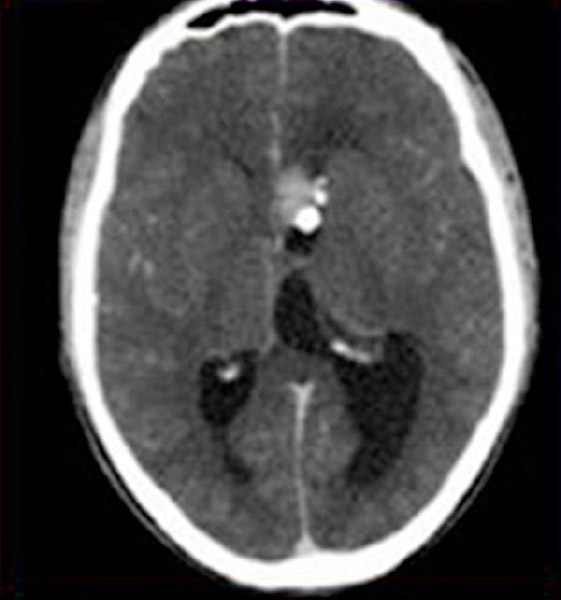 30% have calcifications: Some 30% of tumors show calcifications on the CT image (12). 20% enhance: Contrast enhancement is present in only 20%. 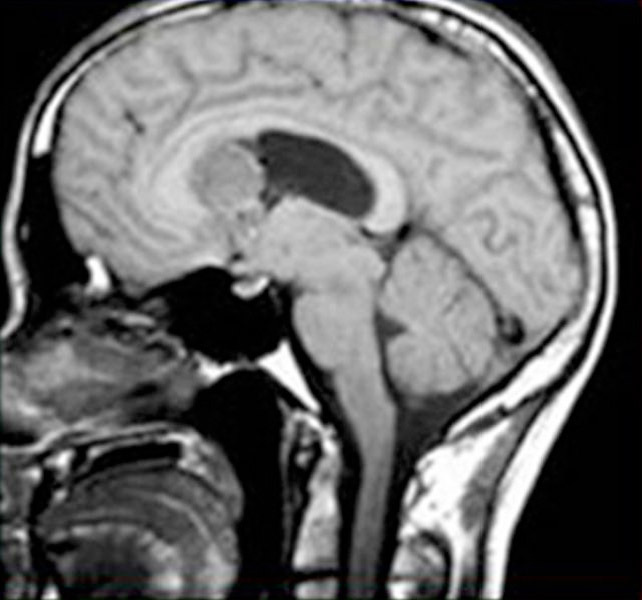 The ideal diagnostic method for LGGs is MRI. The tumor’s vascularization, cellularity, and infiltration in addition to its metabolism and proliferation can all be visualized. 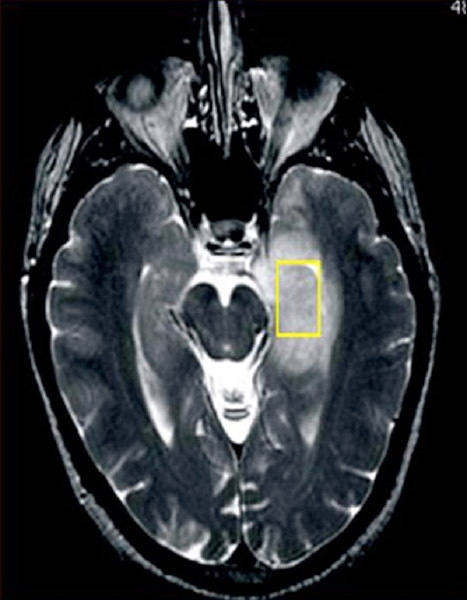 On MRI, LGGs usually appear as well-defined masses that are low signal on T1- and high signal on T2-weighted imaging and produce little edema. Contrast enhancement: Only 35% of LGGs are enhanced with gadolinium, and the tumor margins are seen more effectively on T2- than on T1-weighted images (13). 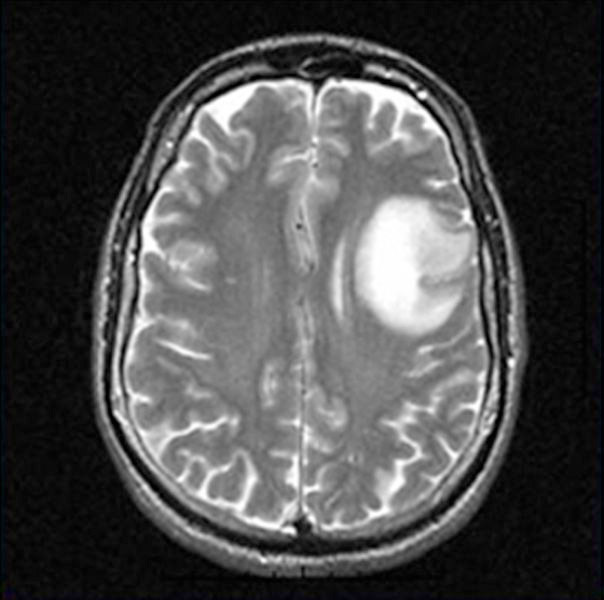 FLAIR: FLAIR imaging can show the extension of the tumor perfectly in addition to anomalies that are not usually visible on T2 images. FLAIR can also precisely measure the growth rate of these tumors. Perfusion techniques: One of the characteristics of LGGs is the loss of microvascular proliferation. Perfusion techniques can reveal any vascularization and provide information for a prognosis as well as make it possible to distinguish between radionecrosis and a recurrence. 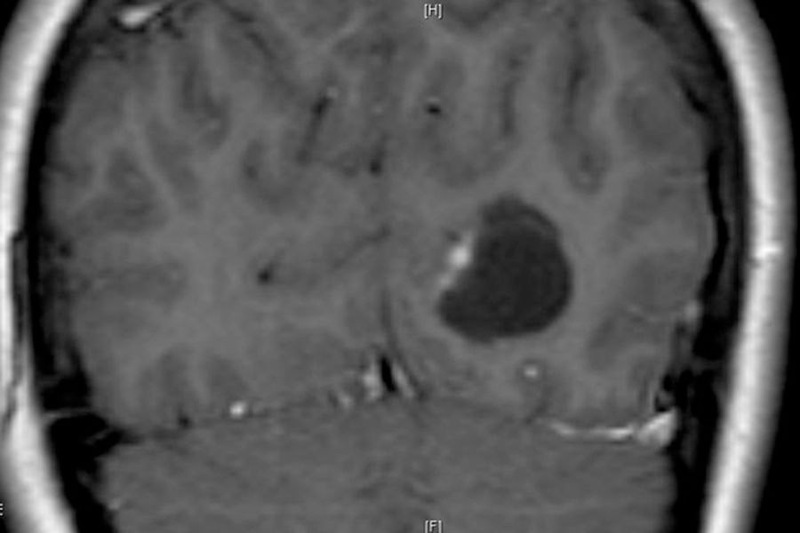 Diffusion-weighted images: These can confirm cellularity and show that LGGs have less cellularity (14). 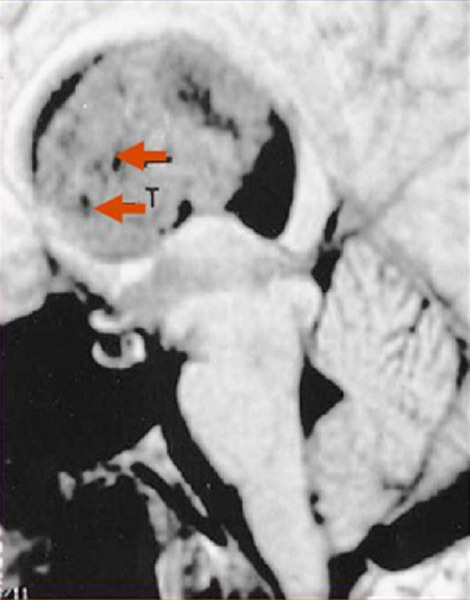 Coronal T1-weighted MRI with gadolinium enhancement of a cystic, pilocytic astrocytoma: Scan shows a cystic tumor in the occipital lobe with an enhancing mural nodule. 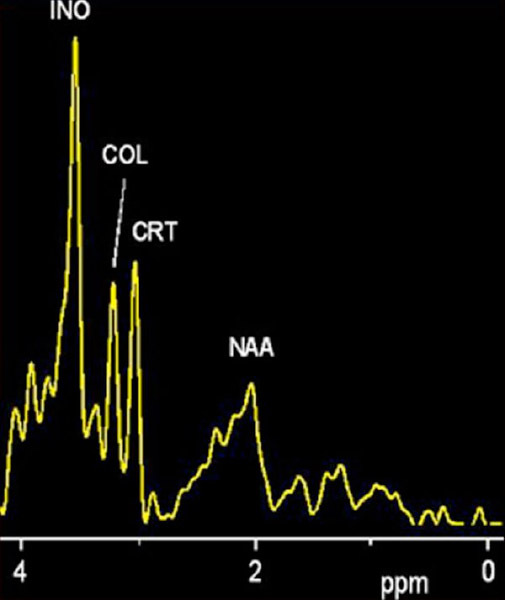 Spectroscopy: Spectroscopy can reveal the metabolism in single or multiple areas. 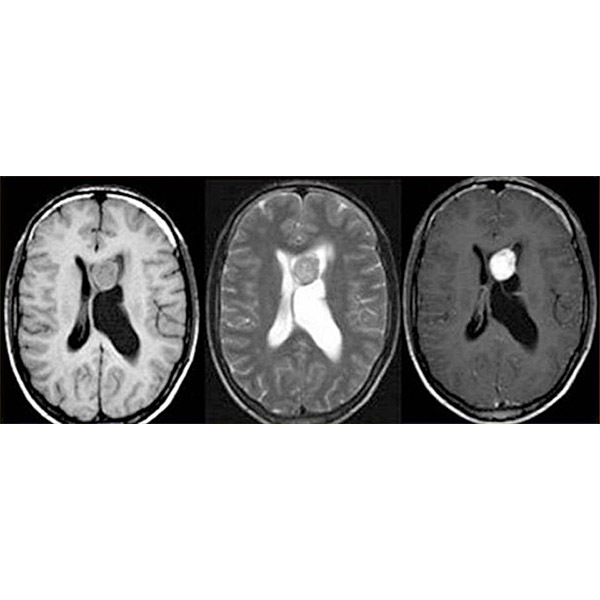 Gliomas have increased choline and decreased N-acetylaspartate levels. The lipids (necrotic marker) and lactate (temporal hypoxia marker) usually are not elevated in LGGs. 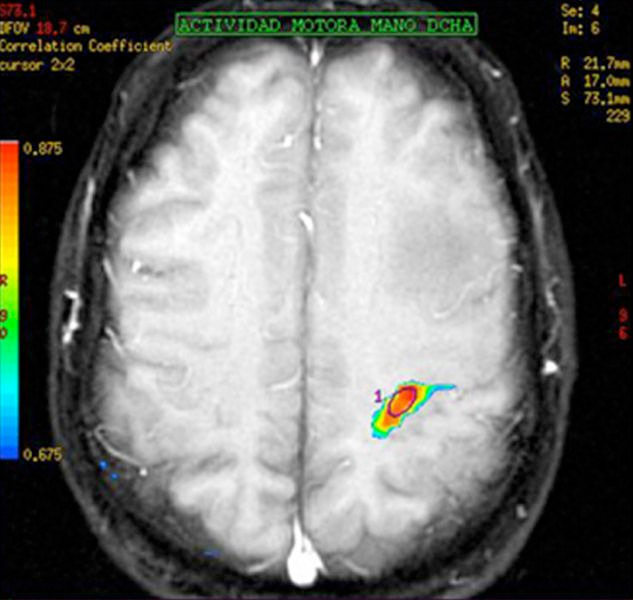 Axial T2-weighted MRI of a hippocampal astrocytoma: Scan shows outline of area used in spectroscopy analysis. 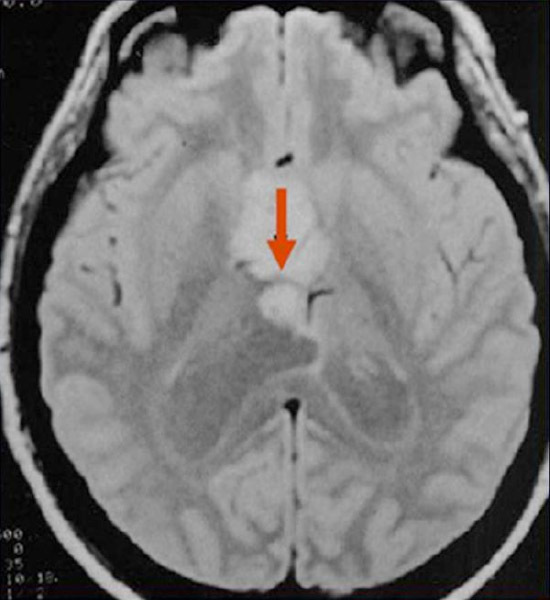 Clinical setting and imaging: Clinical symptoms, neurological examination, and MRI must be carefully correlated to arrive at a provisional diagnosis.